The air in Chiang Rai for the past 4 months has been worse than international standards, often twice as bad or more. It is likely to remain like this or worse for months to come. And if this is a dry year like authorities predict, we can expect times of unhealthy air even during the rainy season. 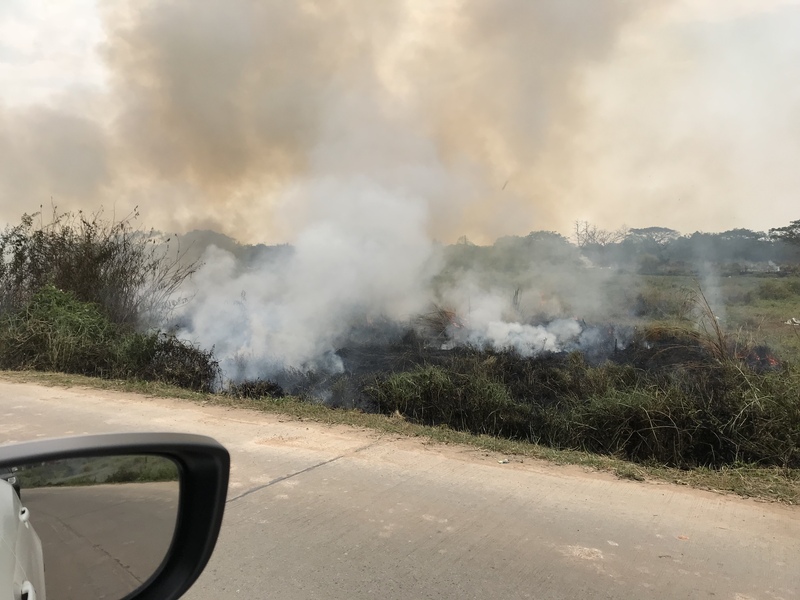 It is surprising to hear someone describe the situation as remarkably good despite the sunset or sunrise both being completely blotted out by pollution. A lot of people are suffering and as we know the worst is yet to come. Sorry; I meant, compared to previous years, or compared to Chiang Mai. Not compared to Northern Europe. So yes it will get a LOT worse the coming weeks. I don't think that's true, or fair. 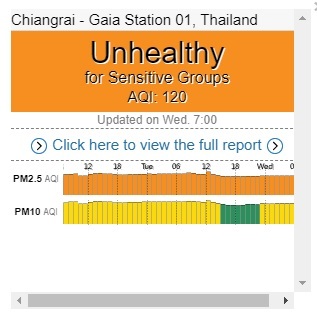 Thailand has measured PM2.5 for many areas including Chiang Mai since 2012 and the records are publicly available. And Aqicn.org happily makes use of that same data. I wonder if this would not be a solution: turning waste into gas. Although this is made for "food waste" it seems, this kickstart seems like a good way to trasnform farm waste into gas. I am not a chemist though. No chance. You have to understand Thai's are perfectly content burning things. They enjoy it. You could give them 100 "better" solutions. You could show them this video. They would nod their head, then turn around and light another fire. You could tell them about all the people in the hospital with respiratory problems. Again, they'd nod, turn around and light another fire. Change will only come by force. And here there is no will power. The idea is that you have the incentive of free gas, no burning/smoke, better compost/soil. How many people have a water tank to avoid being charged? There is the power of education, although it might take a few years for the children to grow up and be more open-minded. Mind you, it would require an educational system that is open to change and diversity of opinion. Still, as they see their children cough and their relatives die, eventually some are going to connect the dots. There is the power of the internet too. I know of many Thai who are not as "stupid" as you make them to be. Sure, the farmers might be more set in their ways. Isn't that true in any nation?True, the old leaders will also be reluctant to change the way. Still, change is inevitable. New generations will complain. When the leaders' children get sick, they will get it. Yes it would be great if they could be environmentally responsible. It would be great if education made a difference. It would be great if they would change their ways for the benefit of others. But it's just a pipe dream. I wouldn't classify them as stupid, but rather uncaring. Here is an analogy to help you understand. 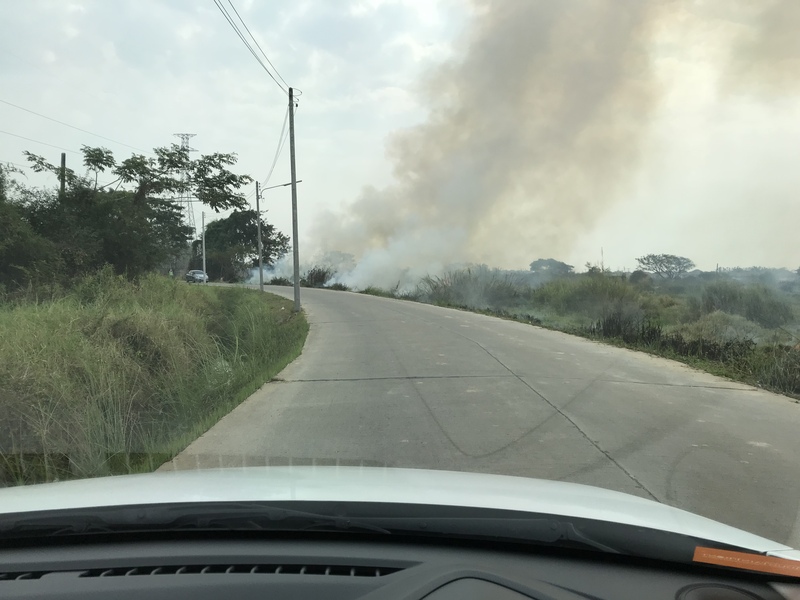 As a group, the poor villagers that set these fires are smokers. Do you think it would work to gather them all together and explain they all should stop smoking this year because it would be more profitable for them? That would go over like a lead balloon. They could care less because they enjoy smoking just like they enjoy their fires. And think has education been the answer in stamping out teenage smoking in Thailand? Not at all. And so it is with fires. And the wealthy/well educated are of no help. They have to tolerate the unpleasant pollution as it impacts everyone every year yet they choose to remain silent. Excellent solutions are everywhere, yet there is no change in the air, no hope for our generation. Things should only worsen as population and land usage increase. I am not trying to be negative, just telling the way it is. When the leaders' children get sick, they will get it. ... and they will send their children to Davos, Switzerland. And the wealthy/well educated are of no help. They might buy some good air purifiers for their homes. The on-going characterizations of Thai "farmers," as if they were one homogeneous group, continues to numb the mind. Perhaps, some folks here would care to read David Wyatt's essay on farmers and literacy in Nan (in "Siam in Mind"): yes. that's a long time ago these literate land-owners were checking books out of the Wat libraries. But, the point Wyatt makes is that assumptions about Thai farmers are often not grounded in history. unfortunately, thai rich ( high class, educated class ) is of no use or help for changing mentality... it is hard to say it but they are helping this system. ( for example, this stupid March and April ban, like <deleted>, why??? hot season no tourist let it burn there) so the farmers burn before ban. but most things are not related to burning in Thailand. also farmers are not so poor actually, even richer then some "high class"
True, the very rich will. But what about the borderline type, like the prof. in agronomy that lives next door and whose daughter lives in Chiang Mai. I have sent him by email the biogas idea. Time will tell what he says or does. I have sent the idea to a well-educated, English speaking Thai who has a degree in agronomy (age 60) and a restaurant owner who could certainly reduce his cost by using the scraps to make gas and he thought it was a good idea. He has just been married and is going to have kids soon. He is young (35). Time will tell what they do with this idea. I suppose it is possible that Thai farmers are just as conservatives as the average English-speaker who is told that the English spelling system (who everyone agrees is a nightmare) should be reformed to shave 3 years off learning it and speed up learning in general, improve pedagogies (student-centered, individualized), and allow lower classes' children a fighting chance. But, few sees past their nose like the Thai farmer, perhaps. Farmers are usually conservative. I recommend the Jean de Florette/Manon des sources movie to anyone who has not seen it. biogas production is very old, and highly used in Chiang Mai, in june is very big conference on biogas production and anaerobic digestion, in chiang mai, AdTech2018 organized by Griffith university, and kmutt.